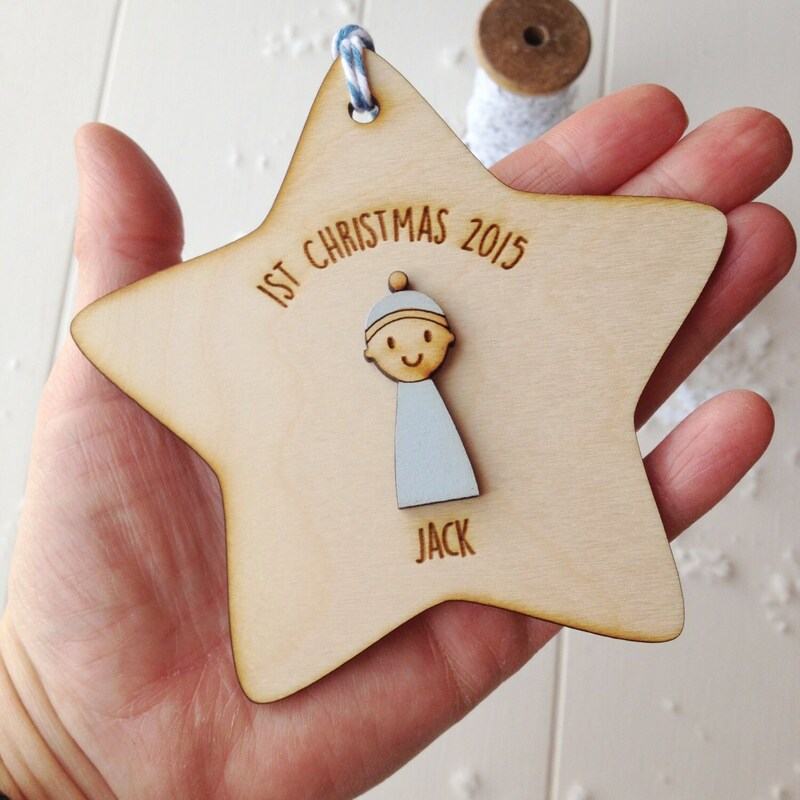 A beautiful handmade wooden baby boy's First Christmas tree decoration. 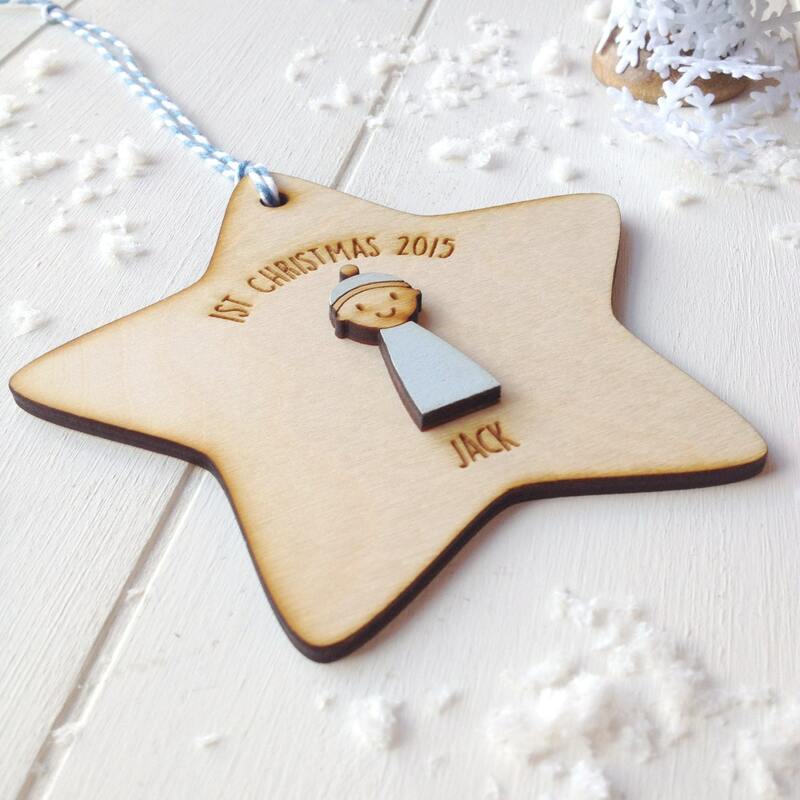 The star features as cute wooden baby boy, with a delicate engraved face and hand painted suit and hat. 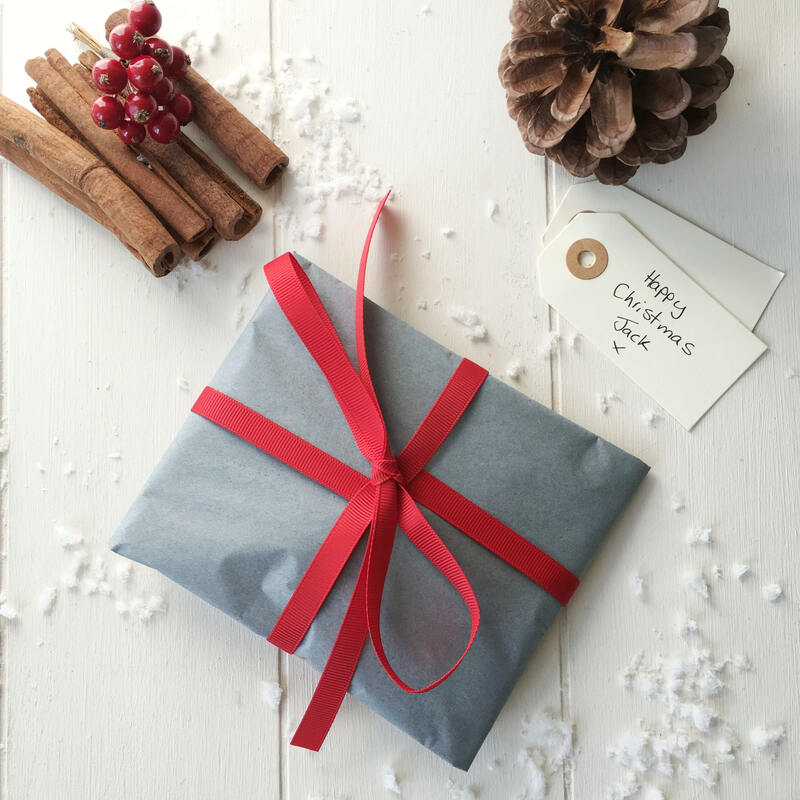 It is made from beautiful natural wood and finished with blue and white twine. 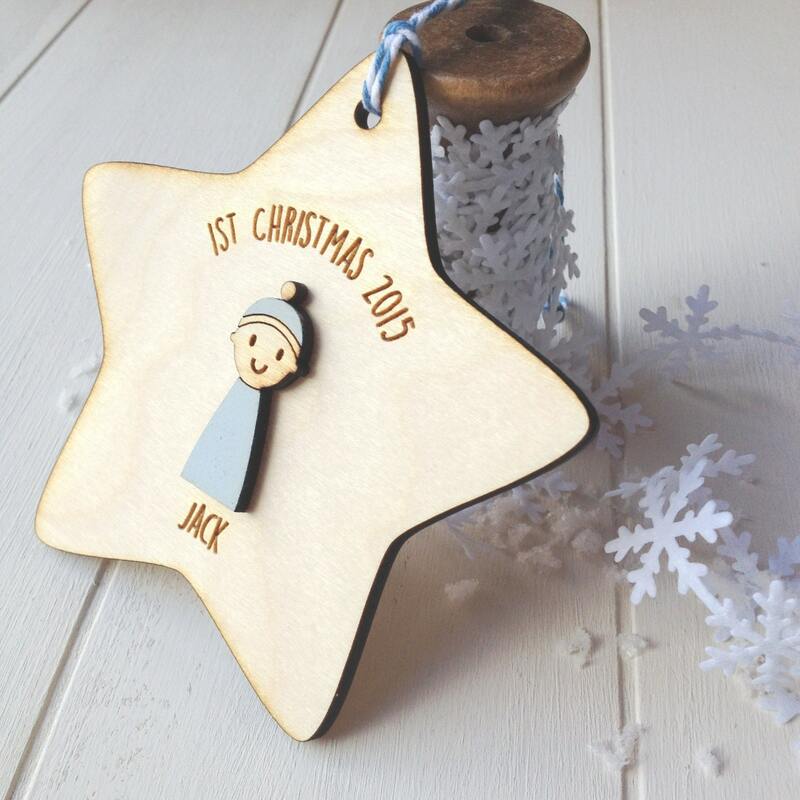 The decoration is personalised with the baby's name and the year engraved on the front.